This is a freewritten blog, the first time I’ve tried it and it’s not going to be easy to be thinking in public and actually put down my genuine thoughts as they occur because that’s what freewriting is and there’ll be a fight going on here, even fiercer than usual between my hand moving the pen and not allowing my mind to edit as I write with the need to say useful, coherent, appropriate things. 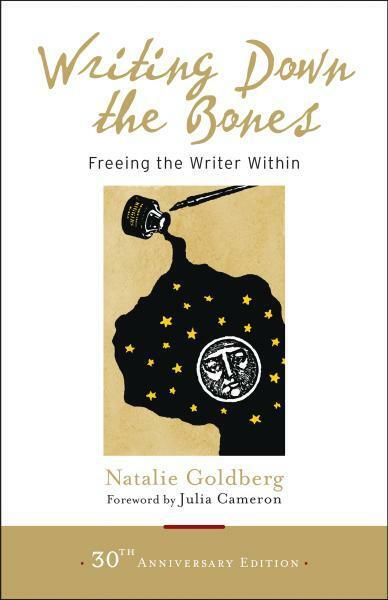 It’s 30 years since Natalie Goldberg’s Writing Down the Bones and the long online interview in LA was so good! 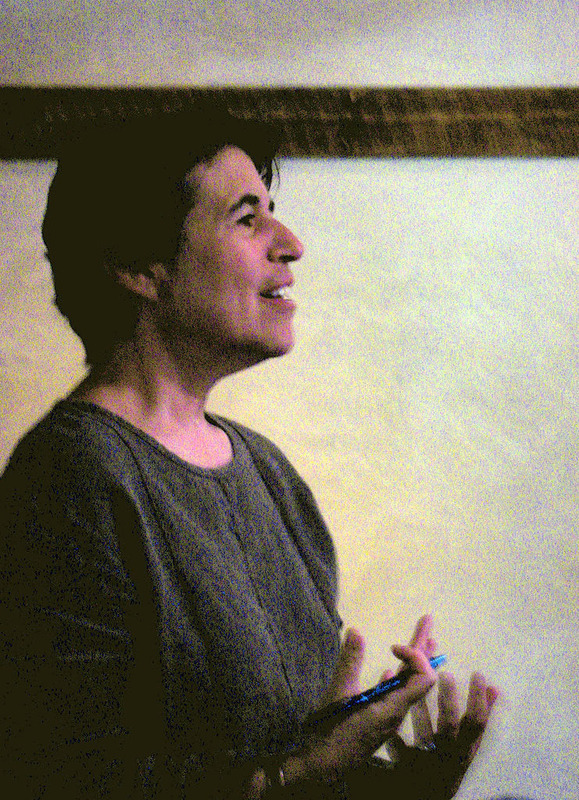 [“Natalie Goldberg with Steven Reigns” at http://nataliegoldberg.com/] She even confesses to always having been in competition with the author of Bones meaning she never hit such heights again but that might just be sales because she must know that Wild Mind and Thunder and Lightning and now True Secret are every bit as good if not better than Bones. I’ve been doing this [freewriting] for 10 years at least but to go into a classroom and explain it and why people should do it (if they want to write) is still very hard. I can’t say I do freewriting properly anymore or even completely regularly but I can’t go for many days without it. And now I’ve lost my track because just now the phone rang…it was out of area so I didn’t answer. If it’s anyone who really wants me, or exists (vs a computer) they’ll leave me a message. So what to say about Natalie and Bones? Without it, no writing. Absolutely. It was the decider, the guide, the best friend I had when it all seemed pointless. Natalie was the only person who ever fully convinced me that writing is worthwhile for its own sake and surely the relaxation, the dropping of all that tension around being good, and competing and how to succeed, the letting go of that, has meant I could come to write the stuff that’s turned into our performances. Such a good gig on Sunday! [Hopewell Ink, see “About” page] Everyone there was linked to me speaking we were all in the same moment and D’s new soundtrack was so good, it was motoring on, giving a sort of drive to the whole thing at the end and the coffee helped too. So Natalie feels like to me, and presumably lots and lots of others as the one giving permission (Who Gave You Permission? is a chapter in Wild Mind, I think) and that’s who I want to be in the classroom on Saturday. And will they be smiling by the end? That’s the test. The room warms up and people connect and you can feel the energy change. That’s what happened before and it did my writing good and I wrote all the exercises and played the games too. I have to get the paper slips ready and using scissors will make this RSI in my hand worse. I resent it when it’s cooking or cleaning but nothing will stop me writing I’ll take ibuprofen if necessary. Natalie is older and she’s had cancer but of course she’s written about it and that’s how she’ll have coped. How would I manage if I couldn’t write? What if I was in prison? But what good does it do? Natalie says you’re not creating any more suffering no she says everything is, she she I am stuck now which is odd because it’s more usually at the beginning and now I’m thinking about Women’s Studies and the conference which is it? where they need a speaker because someone’s dropped out. The Zen stuff is very hard to convey from Natalie’s book, where it makes complete sense, to students. What does Monkey Mind mean? It’s what I’m trying to get past: all that stuff about the gig and the uni e-mails. And what’s underneath? Me, a woman in navy joggers because I’m hoping I’ll do some yoga later (unlikely but there’s a chance) and sitting here in Bethesda at my desk and so relieved, so relieved that I don’t have to drive to the hospital tonight. So a blog abut Natalie and the 30 years since Bones. Well, it could be about her core message: observe the mind, or it could be just me, taking it to some new people again this weekend and hoping it does change their lives for the better, as education can but only as writing does on this deep and dangerous level. And now that sounds bad so I’ll have to edit it out but that would be cheating. I used to despise D’s friend for not editing and think I knew better. I wasn’t a writer then. Now I know that it’s two halves of the same thing. The freewritten and the edited are the two halves of a whole piece of writing. And the freer the freewrite (and the writer who writes it) the stronger the final piece will be. That’s a simple message, from Natalie, through me, to everyone listening.